New York Times bestselling author Pat Zietlow Miller celebrates individuality in her remarkable picture book about the beauty of being yourself. Heartfelt and timeless, Remarkably You is an inspirational manifesto about all of the things—little or small, loud or quiet—that make us who we are. 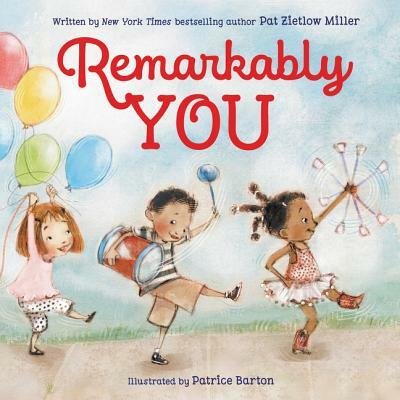 With encouraging text by Pat Zietlow Miller and exuberant illustrations by Patrice Barton, readers will delight in all the ways they can be their remarkable selves. don’t change how you act to be just like the rest. Believe in yourself and the things you do best.